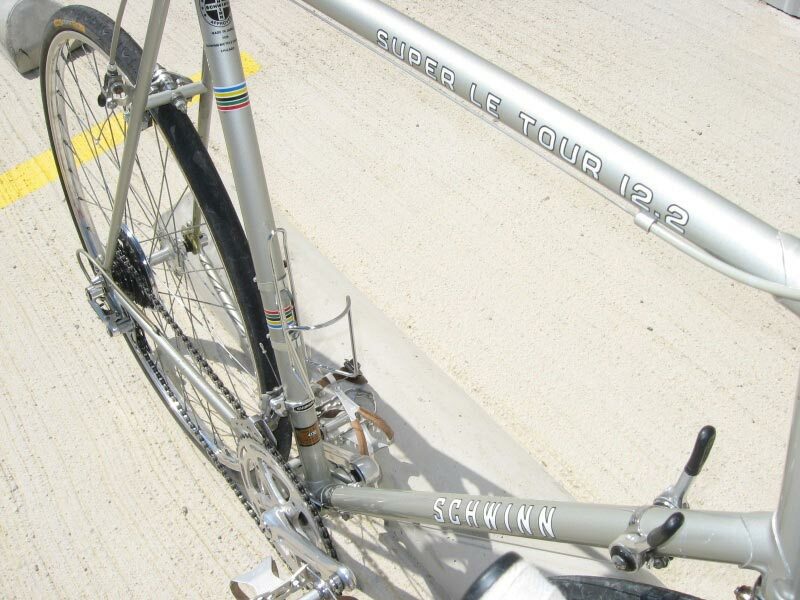 Sunday’s swelling with a silvery sweetness thanks to Zach W’s ’78 Schwinn Super Le Tour 12.2. 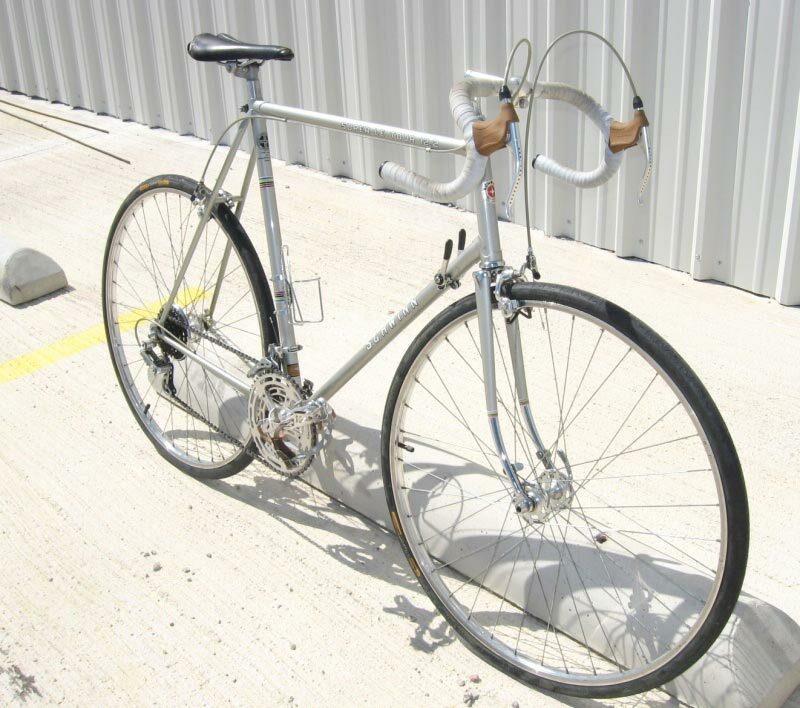 Here are some pictures I would like to submit of my 78 Schwinn Super Le Tour 12.2. To be honest I am not sure what to say, Except that I love this thing. 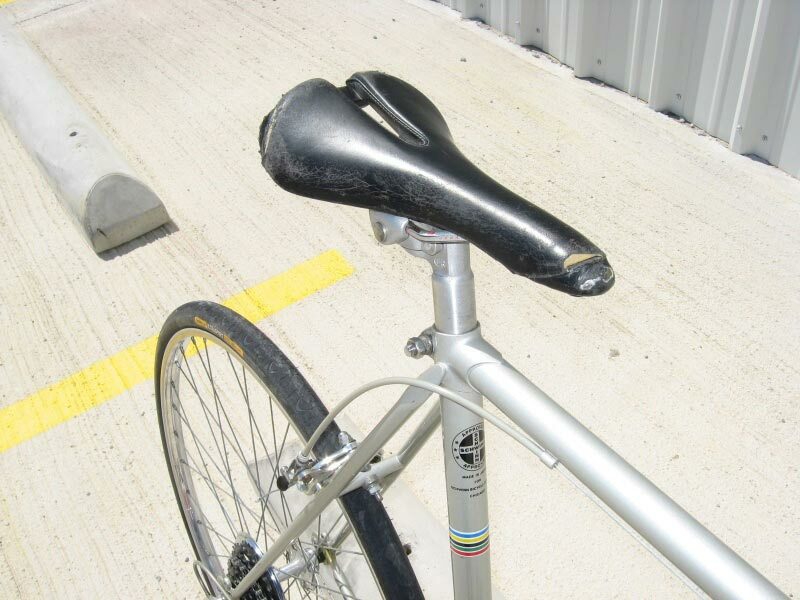 I had started looking for a older ten speed when I went down to Austin from Dallas to see the girl I was dating. I was scouring Craigslist for 10 speeds but there was nothing that stood out or they were just expensive for what they were. While there we stopped to visit my Aunt and Uncle that lived a little farther away in Fredricksburg. We got that there and after a chat, The garage door opened and there it was. All tucked away in the corner, Displaced by a horrible Trek 1000 was this bike. 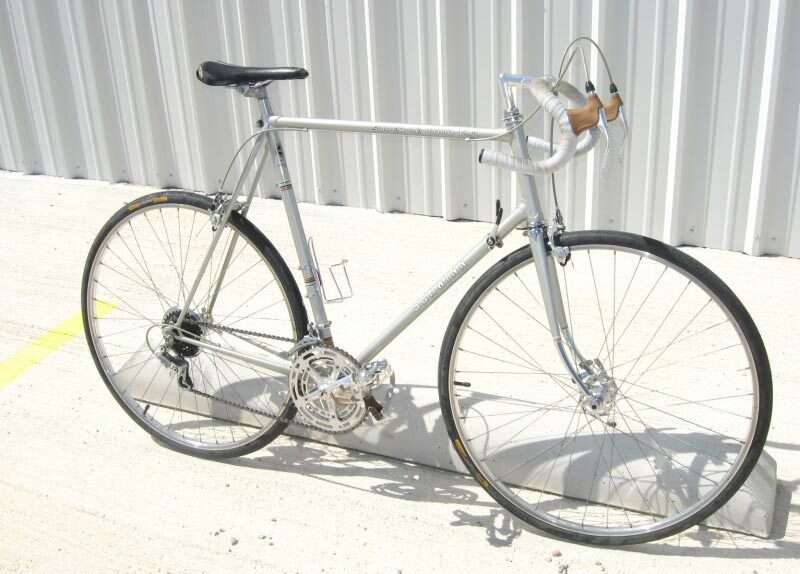 A 78 Schwinn Super Le Tour 12.2. I smiled when I spotted it and he immediately asked if I wanted it. He stated that the bike shop would have only given him 10 bucks for it. That was 3 years ago. The bike now goes at least 25 miles a week and has been fully cleaned and maintained with some nice extras tossed in. The seat has since been replaced and I plan to re-wrap the bars again, Along with some NOS lever hoods. Ever since I got this bike I have been obsessed with the Japanese Schwinn Road Bikes. My dream is a Orange Schwinn Voalre. Hi. You have a really nice, clean old bike. Also, I see it is the tall frame, the 25″ size. That is rare to find, because back then, most people were not tall enough to ride the large frame bikes. Therefore, keep it!!! Never sell it as long as you live. Seriously~! Also, I noticed you have the ’78 model. Mine is a ’76 model, also acquired in original condition from the original owner. I will post a picture. It is fantastic to ride, so I understand what you mean when you say you love it! I love mine too, and it rides like a dream.. 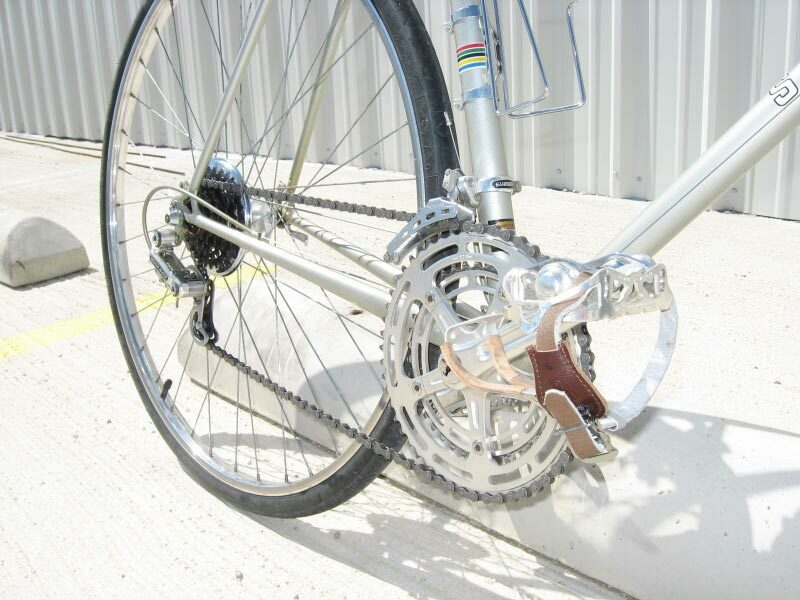 Very fast, very tight, and the shifting of that great Shimano 600 is silky smooth, with no noise.. I had no idea how great the Super Le Tour 12.2 was, until I got lucky and found mine, (for $140), and began to ride it regularly. What a truly fantastic bike! Not as forgiving as a cheap wal-mart special type bike, but hey, it’s a sport bike, it is supposed to be super sensitive to all inputs, and provide superb road surface communication to the rider, which is does flawlessly. I will never sell mine, not ever! I have the bragging rights of owning and riding a 37 year old bike in original condition with God knows how many miles on it, and it still rides and handles like a dream. Mine weighs 26.5 lbs, exactly as advertised by Schwinn in their 1976 catalog. . Also, I just found and purchased an original owners manual for this bike. Have fun enjoying your sweet silver Super Le Tour 12.2! What a great bike. I Love ’em too.